Half of them were wheeled through the dining room in wheelchairs. The other half walked, some with canes, some without. All of them wore red hats. 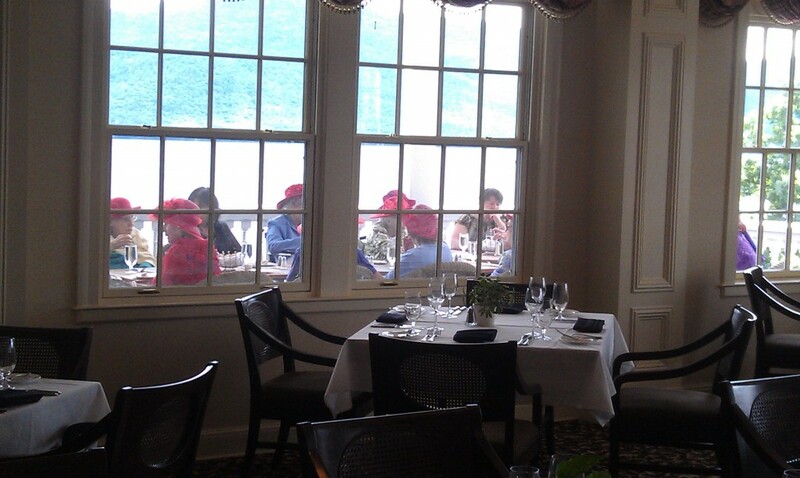 They are a chapter of the Red Hat Society, older ladies who wear red hats with purple outfits and gather for lunch. I’d seen what the alternative is while on the oncology floor at New York Hospital, where I was the youngest patient on the floor, and I can honestly say, I’d rather be wheeled out to the veranda overlooking the lake to have lunch in my red hat and purple dress. The Red Hat Society knows how to age with style. So ladies, whoever you are, thanks for giving me great hope for my old age. For when I get older, I shall wear purple, too. And a big honkin’ red hat. I will get there before you and I am ready. I have a summer red hat and a winter red hat. Of course, I am always ready with a purple dress.